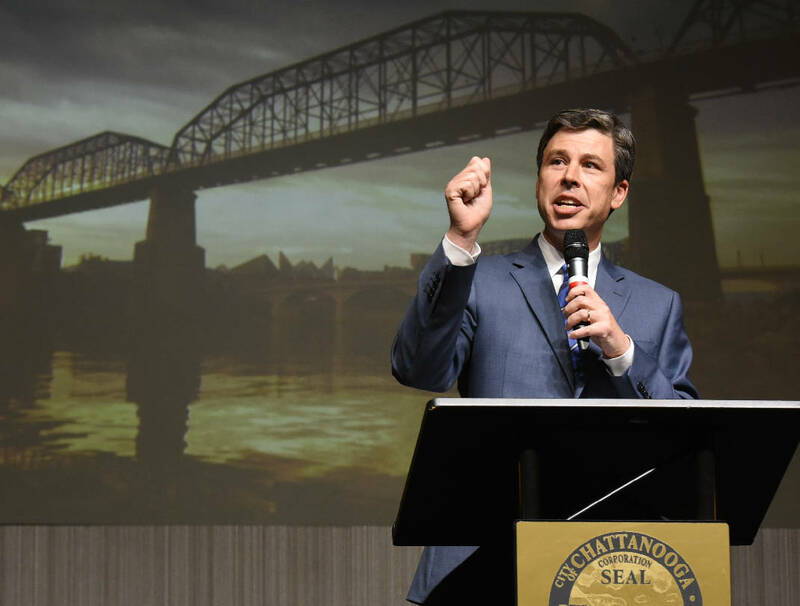 Chattanooga Mayor Andy Berke delivers his State of the City address Monday at The Chattanoogan. 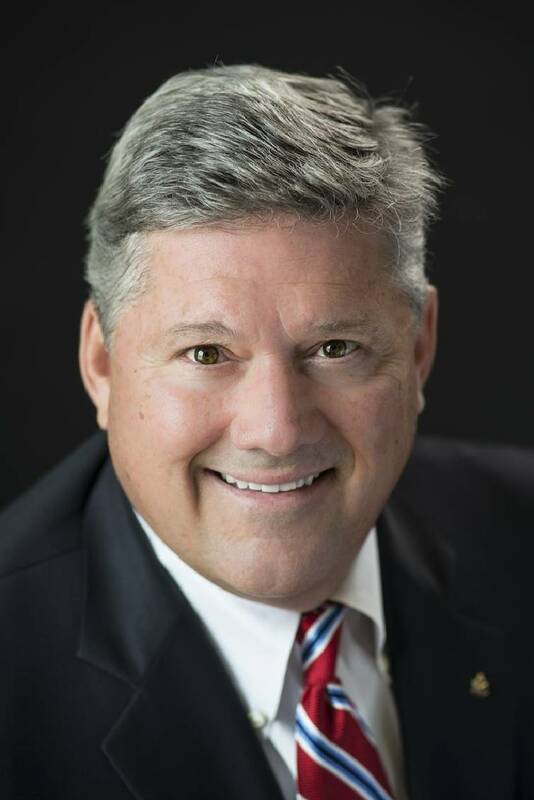 NASHVILLE — After spending $3.8 million of his own money to run for Nashville mayor this year only to come in third — albeit a fairly close third — is real estate entrepreneur and Democrat Bill Freeman interested in running for governor in 2018? A Freeman intimate says the Democrat is indeed taking "a long, hard look" at what will be an open governor's seat in 2018, given that Republican Bill Haslam is term-limited and can't run again. While it's too soon to tell where the "long, hard look" will lead, if Freeman does run, his ability to self-fund could make for a very interesting Democratic primary contest — should one materialize — and general election. Other Democrats whose names have been floated are Chattanooga Mayor Andy Berke and former Nashville Mayor Karl Dean. Berke told the Times Free Press in August that he has formed no exploratory committee nor made plans for the governor's seat, and hasn't even begun preparing to run for a second term as mayor. But with nothing ruled out, either, speculation is inevitable. Last spring, Berke, a former state senator, met with a group of Democratic movers and shakers in Nashville, where he gave sort of a reprise of his State of the City address, according to several Democrats who attended. Republicans, who dominate Tennessee politics, have any number of would-be gubernatorial hopefuls. One name often cited is U.S. Rep. Diane Black, R-Tenn. And the Gallatin congresswoman was way out of her 6th Congressional District on Friday, in Republican-rich Knoxville. Black told The Knoxville News Sentinel that she was only in town to see her grandson play in the University of Tennessee Pride of The Southland Marching Band during Saturday's Vols football game against South Carolina. But she was making the remarks at Vol Market No. 3, where there was a roomful of local Republican officeholders and other political types. "I'm just here to see my good friend [Knox Mayor] Tim Burchett right now," Black told the newspaper. "He asked some of his friends to come by, and I'm enjoying meeting them." Should Black run for governor, she'd also be able to self-fund a bid or at least seed a campaign with some of her own money. According to Roll Call's latest wealth rankings of Congress, Black is the 10th richest person in the U.S. House and Senate. She and her husband, David, saw their minimum net worth balloon from $21.24 million to at least $45.95 million in 2014, according to Roll Call. At least half of that wealth came from real estate the couple own.